The master draws a colored pattern from the woven belt. 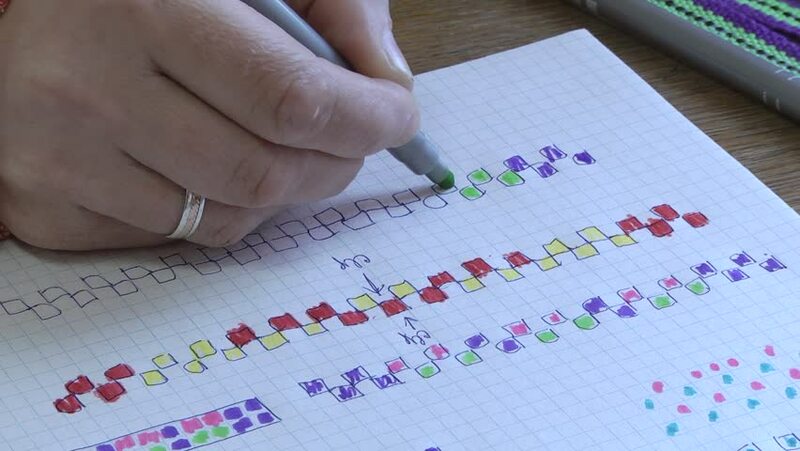 Weaver carries the pattern with colored felt-tip pens onto the paper. 4k00:15Coquitlam, BC, Canada - July 25, 2017 : Motion of man scratching lottery ticket with 4k resolution. The BC Lottery Corporation has provided government sanctioned lottery games in BC since 1985.
hd00:26MOSCOW, RUSSIA - APRIL 29, 2016 : One unidentidied married woman filling in a blank during workshop or business meeting in modern office in Moscow, Russia.